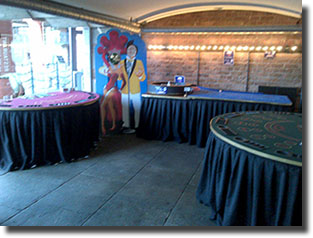 Based in North Liverpool we can supply Fun Casinos in and around Liverpool. With qualified croupiers in casino operations so your guests will be well looked after and in for a great time. Fun Casinos are the up and coming entertainment at venues today and you shouldn't miss out on the opportunity to impress your guests. 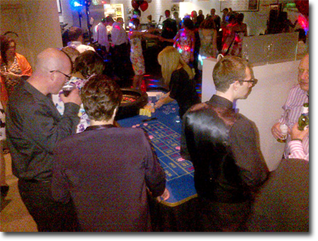 We generally advise that Roulette and Blackjack "21" are the perfect games to hire for a party. 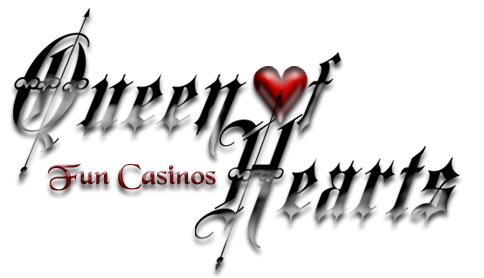 Both games are easy to play and have that "casino atmosphere" for this reason we do packages. All prices quoted are for 3hrs of gaming. 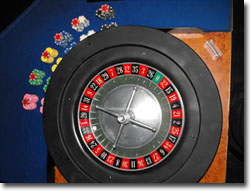 Roulette is the most popular game played in the world today; game rules and procedures will be explained to all guests to ensure they have a great time. Blackjack rules are simple and similar to Pontoon "21" whereas Roulette is a game of chance. Cash chips are provided to you and your guests to play at the gaming table. The person with the most chips at the end of the gaming session is the winner: a prize could be given to the winner from you. Alternatively we can provide the prize at an extra cost. It's a brilliant way of getting people interacting and brings out their competitive streak! You don't need a gaming licence for a fun casino as no money changes hands, so you can have it anywhere! Casino nights are lawful if held as part of "exempt entertainment" as laid down in section 15 of the Lotteries and Amusement Act 1976.